Every year, in April, Rwandans commemorate their genocide which occurred in 1994. 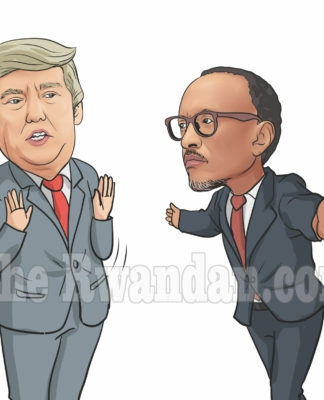 During that month, heated debates on the topic of survivors in the Rwandan community at large, and among Tutsis and Hutus particularly, are common. The question of who is a survivor and who is not is always central to the discussions. 25 years after that unforgettable year, it is not surprising that Rwandans can still be somehow highly emotional about what they experienced. There is however the saddest part of the remembrance. It’s each time when the right of being a survivor becomes hijacked by a government propaganda machinery, purposedly geared to discriminate against the denied and silenced victims. 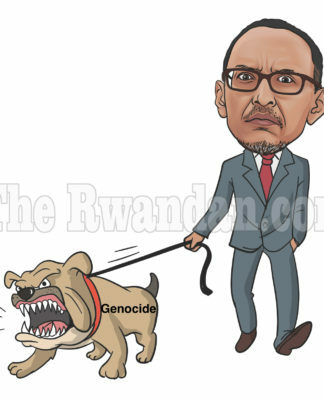 Gatete Nyiringabo Ruhumuliza claims in TheNewTimes dated April 09, 2019 that saying that in Rwanda there has been a double genocide, one against Tutsis and another against Hutus, is denying the former. 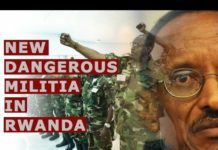 “René Mugenzi too is an unapologetic Genocide denier. He frequently features in the media claiming that there was a double genocide,” he writes in the mentioned article. The journalist’s assertion about Rene Mugenzi seems misleading. This exiled human rights activist of Rwandan origin appears to defend persistently all Rwandans’ rights including those of the victims of genocide against Hutus in his interview with Aljazeera. Nowhere does he deny the genocide against Tutsis [please listen objectively to that broadcast]. He becomes wrongly accused of being a genocide denier. DMI mobile units comprised between fifty and sixty men who operated in the rear of military battalions. Mobile units were present in every area under RPA control, suggesting a dozen to fourteen units matching the number of battalions on the ground, sources involved in these operations said. Conservative estimates from intelligence sources suggest that as many as five hundred Hutus were killed per day by these units, over at least a two-month period during the genocide. Over a mere sixty days, that suggests upwards of 420,000 Hutu civilians killed by DMI units in the dozen rear areas seized and controlled by the RPA. Over ninety days, that would mean an estimated 630,000 Hutus killed by DMI units in RPF zones. 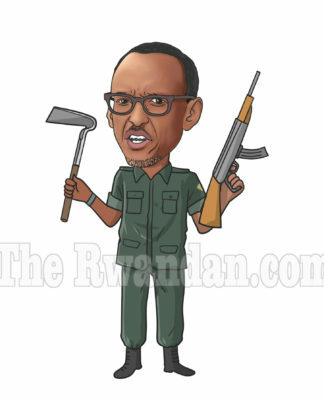 Testimony from soldiers and officers in battalions indicates that up to two hundred civilians were killed daily by a dozen or so RPF battalions fanning out all over Rwanda. Over a two-month period, this would suggest regular troops killed at least 144,000 Hutus civilians; over three months, the number of victims could have risen to 216,000. Luring and loading people onto trucks enabled the RPA’s DMI agents to kill easily, discretely and in vast numbers. Dozens of military sources testified on this method, but one High Command intelligence official said he was receiving reports that one hundred to two hundred people were being loaded onto between five to ten trucks and brought to Akagera National Park daily. Over the course of two months, this would at a minimum (one hundred people on five trucks a day) suggest 30,000 people transported to their death. If up to two hundred people were put onto ten trucks every day, for three months, the total maximum number of victims brought to Akagera to be burned and incinerated would be 180,000. Sources from the Training Wing have provided rough estimates of numbers of Hutu civilians and Hutu male recruits killed during and after the genocide. They estimated up to half a million people perished in these schemes. A UN investigator who probed RPF crimes for nearly a decade said Kagame’s troops were responsible for “at least half a million” deaths in Rwanda and after the genocide. Recalling these systematic crimes committed against Hutus brings up chilling goosebumps on one’s body and terrifying thoughts in one’s mind. They happened at the fall of the 20th century. Some fifty years before, other human beings experienced in Hitler’s Germany atrocities with shocking similarities. In that period, persecuted thousands of Jews were transported by entire trains cargos under conditions below human standards. They ended up in crematoriums such as Auschwitz. Hutus of Rwanda ended up cremated in the Akagera National Park. Though there are testimonies indicating that the Nyungwe forest in the southwest of the country was also another crematorium area for Hutus meant to be killed. The International Criminal Tribunal for Rwanda (ICTR) closed its investigations on the Rwandan genocide in December 2014. 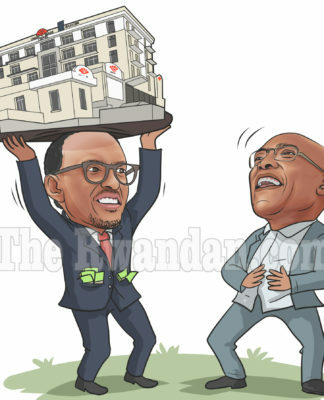 Though it sentenced a number of Hutu political and military personalities because of the crimes they allegedly committed, it couldn’t point a finger to the planner of the Rwandan genocide. 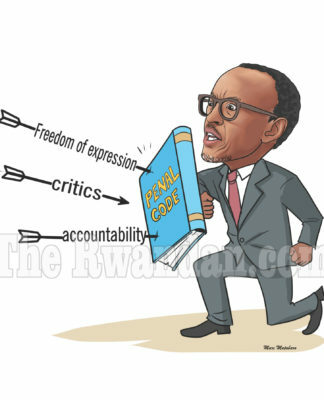 But the modus operandi to cleanse Rwanda of Hutus in some entire areas of the country, the meticulous organisation of the killing units/detachments and the speed with which all this was orchestrated before during and after the genocide clearly points to the RPF of president Paul Kagame as the main masterminder of the tragedy. 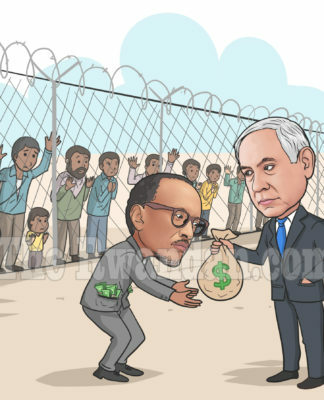 It might take some more years before highlighted evidence among many others get officially and internationally acknowledged that another genocide has effectively occurred in Rwanda, this time against Hutus. The important thing is to continue bringing out the truth and only the whole truth. In 1994, Tutsis were killed because of who they were. “If escaping from what Hutus experienced while being hunted and killed by RPF, is not becoming a survivor, a new definition of the term should be found.” Perhaps then a different understanding of a Hutu survivor could be accepted. 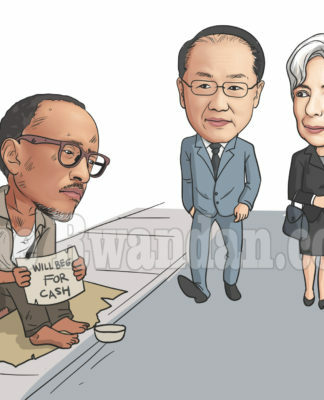 Next articleKagame, On May 12, 1994, Rejected UN Intervention Force. He Said It Was Too Late To Stop Genocide.